Here is a once in a life time opportunity to secure a family legacy home for the decades... let the adventure begin. Positioned on the wide and popular Faulder Ave, #19 is effortlessly beautiful offering a flexible family layout both inside and out and best of all, heralds huge land - ever so rarely available. Impeccable taste and attention to detail is on show in every one of the voluminous spaces from the four double bedrooms to the timeless beauty of the traditional Tadelakt clad bathrooms to the generous living space which enjoys an easy blend of character features and contemporary selections. Dual outdoor living spaces are landscaped to ensure an extension of the interior at any time of day and the ultra convenience of double internal access garaging and storage systems will certainly appeal. This incomparable family property, will surely evoke memories of your own childhood. What a thrill to introduce your 'city kids' to their very own native bush complete with tree house and tyre swing and an enormous lawn big enough to house the tramp, the dogs, the pool and maybe that future pool house or additional wing if required (fully resource consented plans available on request). 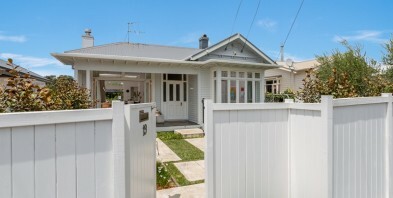 For our vendors, a new adventure awaits out of Auckland but needless to say, its been a privilege to come home to 19 Faulder Avenue. Viewing is essential. See you this weekend.